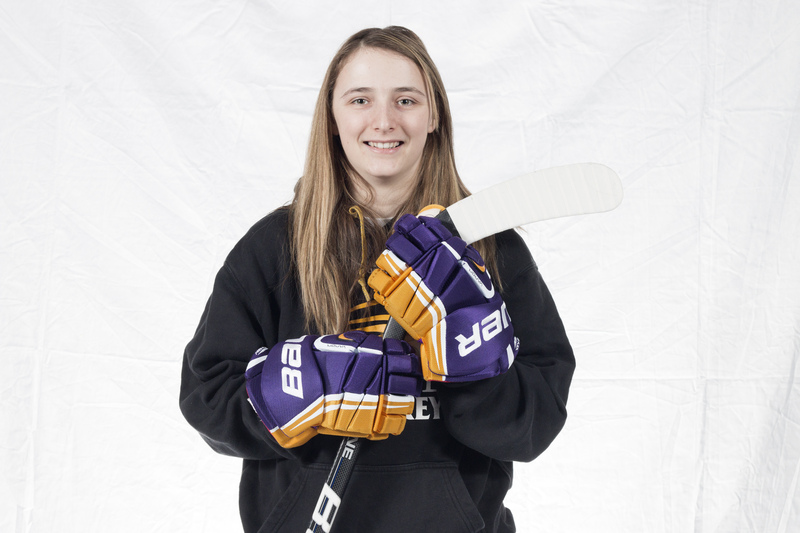 With the minutes winding down in the second overtime period of Friday night’s elimination game against the Western Mustangs, Laura Brooker ignored that, depending on the outcome, her career as a Golden Hawk could be coming to an end. “It really wasn’t in my mind that day. It was the last thought I had because I knew I didn’t want it to be,” the fifth-year Wilfrid Laurier University women’s hockey captain said. The season filled with high hopes was brought to an end when Laurier lost the game on a heartbreaking goal deflected past goalie Amanda Smith. “But it’s hockey, so there’s those bounces that don’t go your way, and we happened to get one of those at the end and it just sealed the deal,” she added. The game brought Brooker’s decorated career to a close. She served as captain for two years, captured two Ontario University Athletics championships and was recently named an OUA first-team all-star for a second time. Brooker also served as captain on team Canada at the International University Sports Federation (FISU) Winter Universiade in Granada, Spain. While the team was unable to bring home a gold medal, they did capture silver. According to Brooker, the sheer experience outweighed the outcome. Though the tournament was both an honour and a learning experience for Brooker, she faced a tough decision before committing to be a part of it. Leaving for the games meant taking a hiatus from Laurier’s season when their outcome was still up in the air. “It’s hard leaving my Hawks. I didn’t like it; I knew we had five games left and we were fighting for home ice advantage and there were some key games involved, but [head coach] Rick [Osborne] was okay with me going,” she said. The departure of Brooker and fellow fifth-year Tammy Freiburger will leave a void on the Golden Hawk roster for next season. According to Osborne, the two have made their mark during their tenures. “Brooker and Freiburger are two of the all-time greats in our school history. They’ve both been here for five years and they went through lots of ups and downs with me,” he said after Friday’s loss. Despite the loss of leadership, Brooker said she believes there will be no shortage of women to step in and fill the void. “There’s going to be a lot of girls with a lot of emotion playing next year — they’re going to have drive. And that’s going to be amazing because the rookies coming will see that and build off that,” she said. The Hawks will now embark on a campaign without their storied captain this upcoming season.